Several dozen species of this genus are used in aquariums, which sometimes gives rise to confusion. Some are genuinely aquatic, others amphibious. The quality of water required varies according to the species: soft to moderately hard, slightly acid to alkaline; the soil must always be quite rich. Sexual reproduction with flowers is rare; vegetative multiplication occurs by means of runners or the division of the clump. 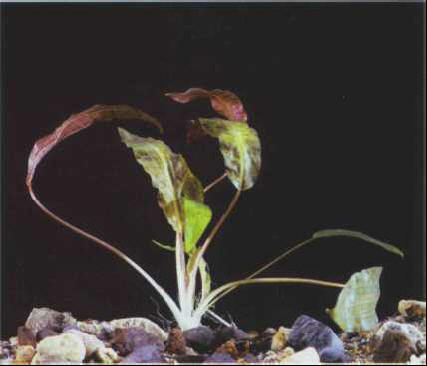 Balansa's cryptocoryne prefers intense light and a temperature over 25°C. It should be kept as a single specimen, to highlight it. Size: 40 cm. Beckett's cryptocoryne, paludal in the wild, is very resistant and can live totally submerged. Size: 40 cm. 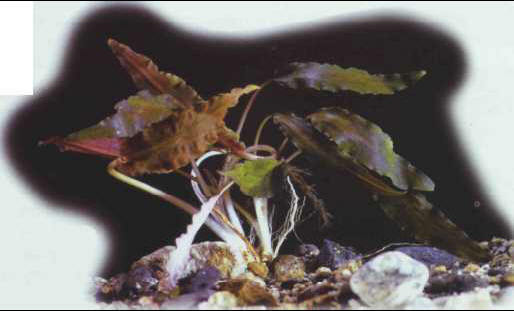 The ciliated cryptocoryne is one of the species in this genus that tolerates hard water, and it requires fairly rich soil. It is amphibious in its natural environment. Size: 40 cm. The Siamese cryptocoryne exists in several varieties, which differ from each other in the shape of their leaves. It adjusts well to hard water. Size: 15-20 cm. A large hardy species, the undulated cryptocoryne is reserved for big aquariums, where it deserves to be shown off. It dislikes water that is too hard. Size: 50-70 cm. УСВОЯЕМОСТЬ , степень использования организмом пищевых веществ для восполнения его энергетических затрат и затрат на биосинтез различных соединений. Определяется разностью между количеством поступивших в организм белков, жиров, углеводов и количеством их, выведенным из организма. Усвояемость животных белков 92-96%, растительных - 46-70%, жиров - 95%, углеводов - 98%.